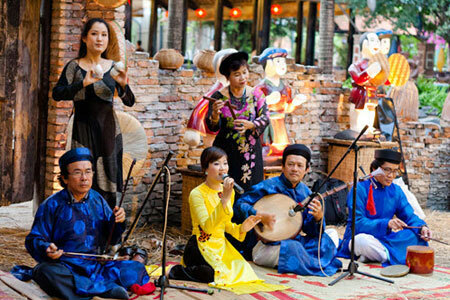 (TITC) - Art of Don ca tai tu music and song in the South of Viet Nam (also known as Don ca tai tu) is a specific folk art type of Viet Nam, developed in the South region in the late nineteenth century. People in Southern Viet Nam consider Don ca tai tu as an indispensible spiritual cultural activity in festivals, death anniversary rituals and celebratory social events like weddings and birthdays... The death anniversary of the ancestors held annually on the twelfth day of the eighth lunar month.